Johansen�s knack for delivering robust action and commanding characters kicks into high gear." It begins with a single shot. Devon Brady is a devoted veterinarian working in a makeshift hospital on a remote search and rescue mission. When a man arrives with his wounded black Lab, Ned, she has no idea that she is about to be plunged into a whirlwind of terror and destruction. Jude Marrock is out for revenge and has no choice but to involve Devon in a high-stakes cat-and-mouse game with an escalating body count. She doesn’t trust him one bit, but when the shots start flying and friends start falling, she finds herself with nowhere else to run. And there are innocent lives, both human and animal, at stake, including Ned and his mysterious pack. Is Jude her salvation or her damnation? Are the secrets he’s protecting worth killing for . . . or dying for? 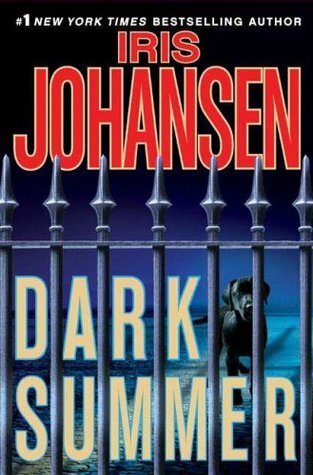 With a lightning-fast pace, unforgettable characters, and gut-wrenching action, Dark Summer is compelling new terrain for this master storyteller.